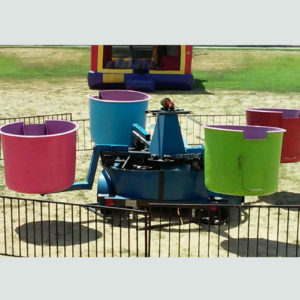 Carnival Rides are the very essence of fun! 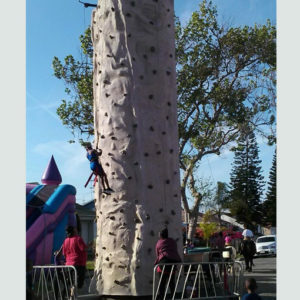 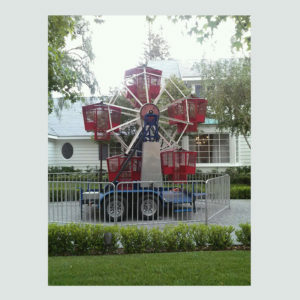 At Party Pronto, we have a nice selection of rides for kids of all ages from the tiniest tot to adults. 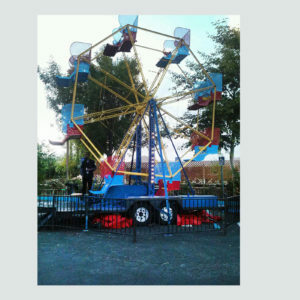 You can choose from several merry go rounds or carousels. 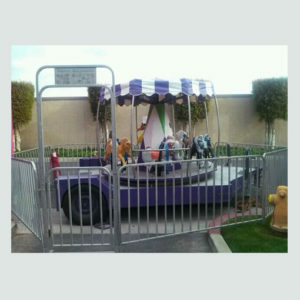 Our Pedal Power Merry Go Round is unique, as the kids provide the power by working tricycle pedals to make it go around. 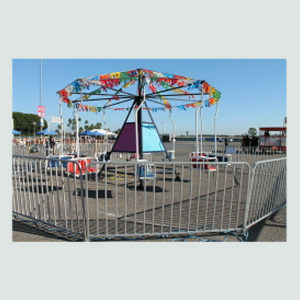 We also have carousels that plug into a standard electrical outlet. 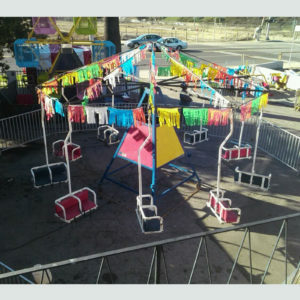 Party Pronto also offers a kid-sized version of the Whip ‘O Whirl, an amusement park favorite. 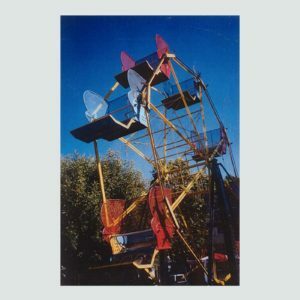 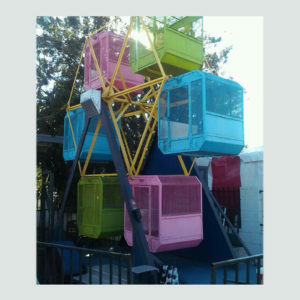 No Carnival is complete without a Ferris Wheel, and we have sizes to fit your needs – from a small unit with cages for the smallest kids to the giant Gondola Ferris Wheel which holds adults and children. 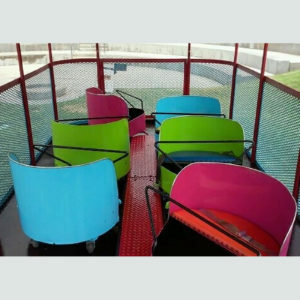 Another fun option for kids and grown-ups alike is our popular Trackless Train ride. 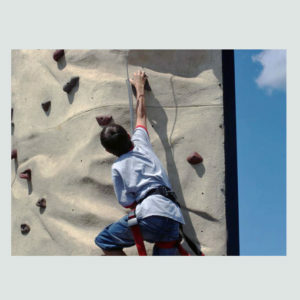 It can be used on cement, asphalt or on a grassy, but hard surface. 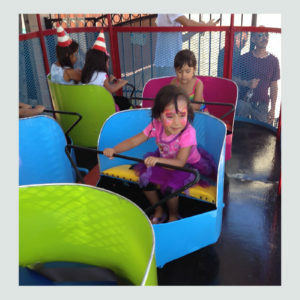 We also offer a Fire Engine ride for all ages, and like the train, it can be used on all surfaces. 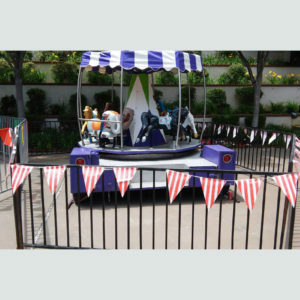 We also have a train for Tiny Tots that has a track. 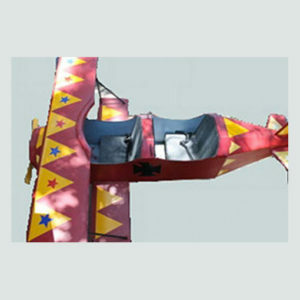 Another good option is an aviation ride. 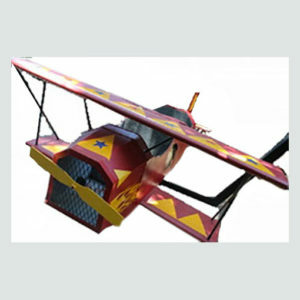 Choose from planes decorated like a bomber or a fighter jet or even like Snoopy’s old nemesis the Red Baron. 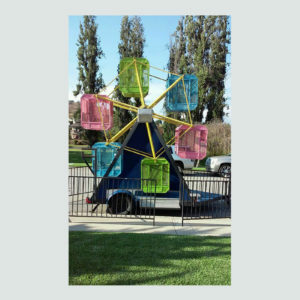 Our swing chair rides come in single or double and can hold up to 20 kids. 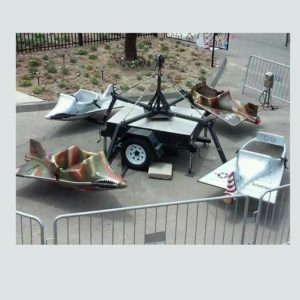 For tiny tots, we have a Dinosaur-themed swing chair ride. 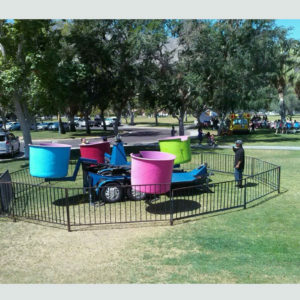 Also for tiny tots, there’s an adorable elephant ride. 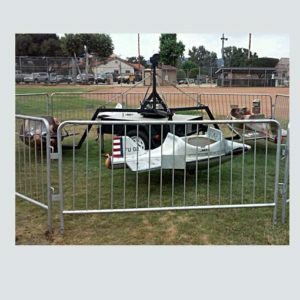 We provide operators for all of our mechanical rides.